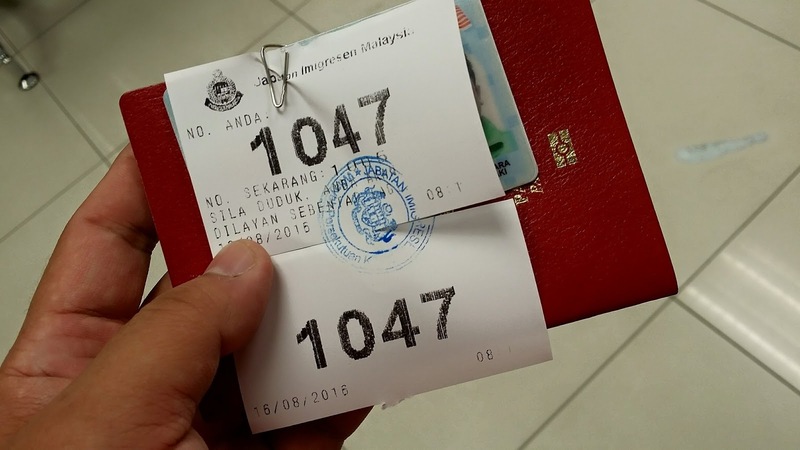 Recently, the Malaysian Immigration department has re-initiate their online Passport renewal service to ease the traffic flow that they encountered at their offices over the last couple of months. Yes, I was one of those guys and girls who lined up from early in the morning just to get my passport renewed. I didn't mind actually as the service in their Jalan Duta (it's in Hartamas, opposite Publika to be more exact) was pretty fast and I got mine done in 2 hours (because I decide to go for a walk rather than wait at the counter). 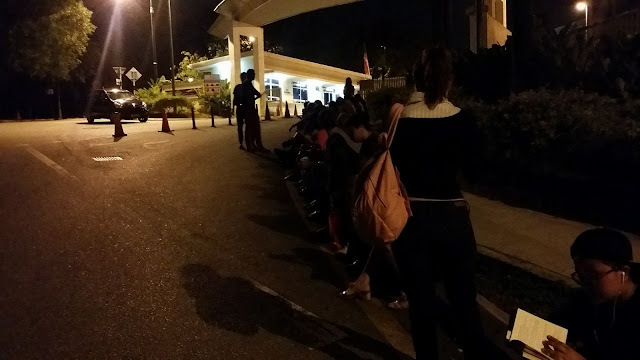 If you still want to get one done over the counter, head to those departments outside of the city or head to the Jalan Duta office as the lines are constantly moving even when their system is down. A friend went all the way to Lumut and got his done in less than an hour (but then he was back there to visit his family anyway). We can't travel if the passport is less than 6 months to expiry so might as well sort it out before it's too late, rather than to panic at the last minute when you have to travel and realize the passport is expiring or expired. For those that want to do it online, you can do now by visiting https://eservices.imi.gov.my/myimms/myPassport?type=26&lang=en. It's pretty straight forward, Before you go into the site to renew, just bring a thumb drive, head to the nearest photo studio/shop and get your passport photo taken, you don't have to print them out but save a digital copy (jpeg) so you can attach that to your application. Applicant must present him/herself at the Immigration office for collection of his/her passport. No representative is allowed. Applicant must bring their Identity Card, existing passport and receipt from the online registration. The online renewal process is only for those that is renewing with an existing passport with the microchip, if you are still using the old passport without any chips OR is replacing a stolen/damaged passport, you will still have to walk in and do it the manual way. Also, you have to be present yourself and not asked a representative to collect on your behalf (If you're below 18, go with your guardian/parents). At present, you can only get the passport from four states and two Urban Transformation Centres (UTC) that is listed in the online application portal. So choose wisely, you wouldn't want to end up traveling to different states just to get a passport when you can collect it down the road. Yup, that's about it, simple, just go into the site, a couple of clicks here and there and you're done. Good luck and Happy Traveling! PS: Do the online passport renewal only if you're not in a rush to get a new passport, as it was only recently 'relaunched', we are not sure how long it takes for you to get a new passport from the time of application to time of issuing. Better be safe than sorry. In most of the countries, online passport renewal has become easy and convenient. It saves lot of time and money in visiting the booth and applying for renewal. Passport number changes when you renew the passport, once you apply online, when you go to the counter to collect your new passport, a new number will be printed on that passport and your old passport number will be blocked on the Immigration's system. This is so that users don't abuse the passport and sell it to another party to use as the Malaysian passport is one of the hot commodities in the illegal trade business with the allowance of the M'sian passport holders to access to many countries around the planet. Do I need to print out the receipt? I don;t have a printer, that's the issue. Yes, you need to have the receipt printed out as government agencies still require to see a hard copy of the documents rather than just getting flashed with a phone screen. You can save your document/pdf into a thumb drive and get it printed at any print shops in most neighbourhood, it's not expensive to print a document out in black&white. Do you know if I must collect on the stipulated date or I can go on my own convenience? Thanks! On the date of collection as stipulated or after that... not before. Unless they call and say your passport is ready for collection. 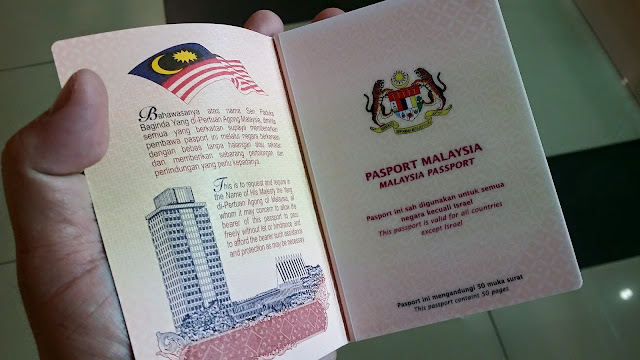 Hi, can I apply for renewal of passport more than 1 year from expiry date? Thank you Michael for posting this information on line. for a passport renewal and since I'm returning for a visit). I rang 6 offices in KL, none of the offices would pickup my call except Lumut(near my hometown) office who said they could do it in an hour. They're not opened on weekends. I noticed some Immi Office in KL are opened 8-12am on weekends. No problems, glad it is of use to you. Yeah, sadly, our government offices are still very much with the tidak apa attitude and not be more focused on customer first experience. Like all government offices, they don't operate on weekends and I think the reason for the 8 - 12pm time is to allow those people that is applying to come in and apply for the passport and then focus on collection in the afternoon. That's what I experienced when I went to renew mine. On the Status Inquiry, it states that "YOUR APPLICATION IS IN PROCESS" today, but the collection date is yesterday. Does this mean I can go collect? Or I have to wait until the application status changed to something else? Usually, I would just take a trip down to check especially when the collection date was stated. I'm not too sure how the immigration system works as I don't work for them, am just posting this as my own experience so from my own point of view. I follow the "deadline" that was set. Does your application status changed? I have been trying to renew my passport online (I live in the UK) but without success. I notice a message on the online form that the payment system is undergoing maintenance. Do you have this problem in Malaysia? Hi May I know what is the starting effective date of the new passport? My Passport still have around one year to expiry date. Will the new 5 years extend from my passport expired date? May i know if i can do the renewal online and collect at Singapore Embassy? Don't think so, as collection point is limited to places that is listed in the government's website. Hi, may i know how long can collect after submit online? I think the average time was 2 weeks. They will state in the receipt after you have submitted online on the collection dates. Hi Michael...where is the "micro chip" located on our passport? Mine was issued in July 2013 and I am wondering whether I can renew my passport online because it has less than 6 months remaining. I'm not sure as I don't work for them so where they hide their tech and how it is done is not something I would know. What you can do is give it a try, if the system doesn't allow you to apply online, it will prompt you on it. Hi. May I know will the status "YOUR APPLICATION IS IN PROCESS" changes when my passport is ready for collection? After collection, the status says,”Your passport has been collected”. I was also confused whether the status would say “Please come for collection” but it didn’t. I was surprised that collection date was the very next day after submitting the application online. Anyway collection only took 30min - would’ve have been faster if the uploaded photo was accepted. They seem to have difficulty downloading our photos. Hi @Beetlemmexx, do you mean the immigration still ask you to collect the passport eventhough they're unable to download your photo? Is anyone able to renew passport online successfully? MAY I KNOW HOW TO CHECK MY ONLINE RENEW PASSPORT STATUS. AFTER PAYMENT I HAVNT RECEIVED ANY EMAIL. You will have to call the Immigration Department check regarding this. I'm just sharing what I know and experienced and does not work for the department and don't have the answer you seek. Good day. I am currently residing in NZ and wish to renew my passport online. Just wonder, is it possible for a representative to collect my passport in M'sia? I thought of may be an authorisation letter is ok.
Hey Alex, I think it's safer for you to do at the Embassy in NZ rather than rely on someone to collect the passport for you. You wouldn't even be able to travel if you don't have your passport with you and you are in NZ. Unless you plan to travel around illegally in a foreign country. Could you advise if you have a idea of how long does the processing time takes and if if i renew via online today when can i collect it? I think the better people to advice you on it are the Immigration officers, I wrote this post based on my own experience but from what I understand, some get it faster than me and some got it slower than me. So I can't advice or give you a good timeline as a guide on how long it takes for them to process. Trying to apply renew passport online, my passport expiry date is may 20, they said im unable to renew my passport which is one year more than the expiry date, how if i renew in the spot of immigration centre on the spot? Will it allow me to renew my passport? Best to drop in at the department and find out. I'm not in the position to advice you regarding this issue as I don't work for them. Hi, so it is true that if expiry date is more than a year then i can't renew the passport online? From what I understand, you should renew the passport 6 months before it expires, if there's 6 months left to the passport, then you won't be able to fly.